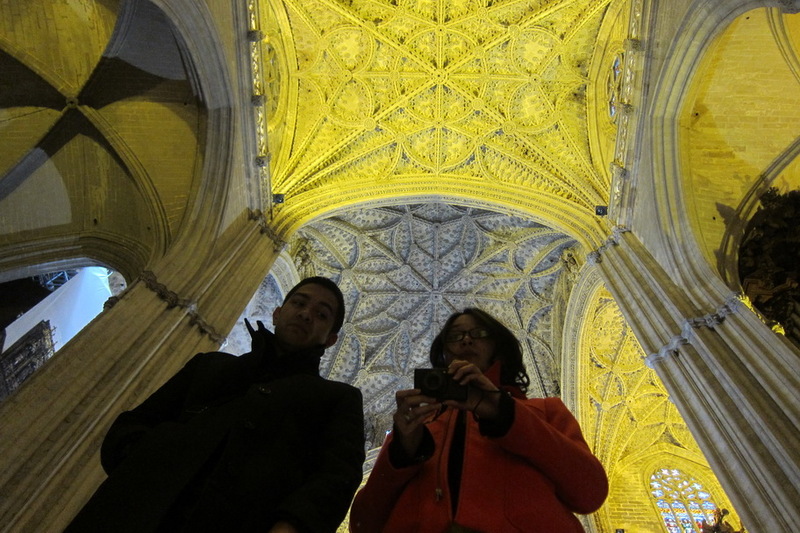 Of course, Mr. Selfish and I took lots of photographs inside the cathedral. 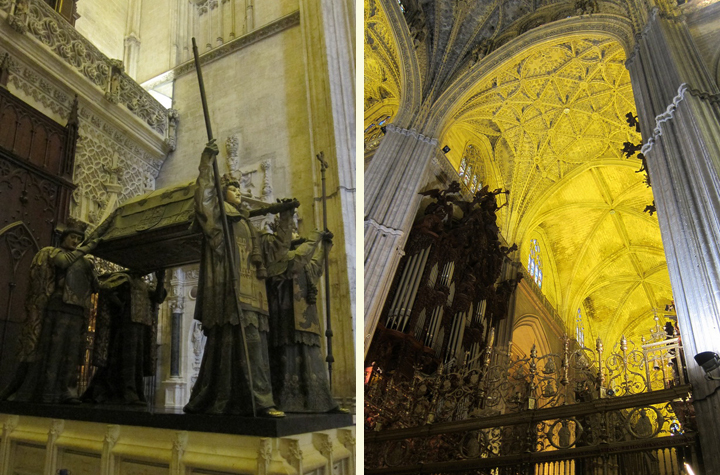 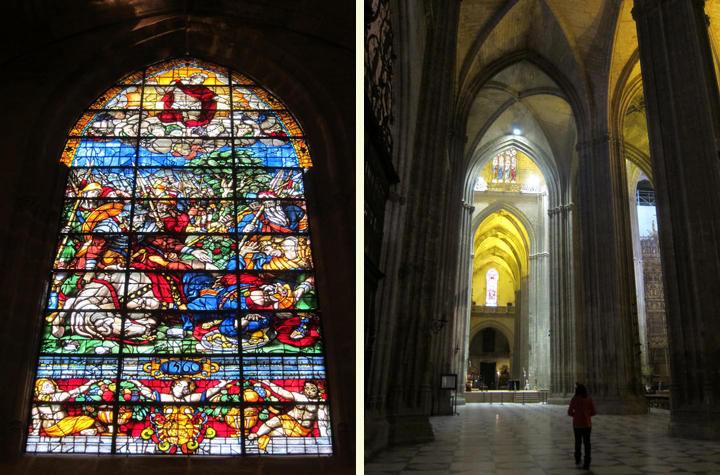 The stain glass windows were quite nice, and the tomb of Christopher Columbus is inside. 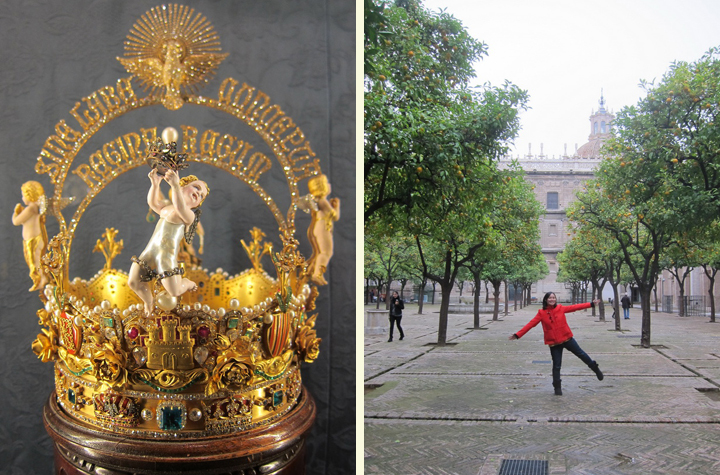 We also saw one of the biggest pearls in the world – it is the cherub on the crown. 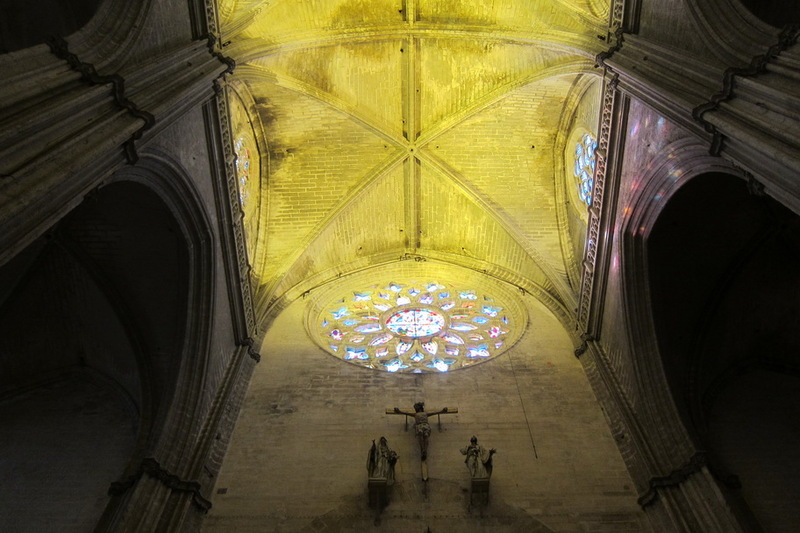 The tower was an easy climb since it was built so that horses could climb up it. 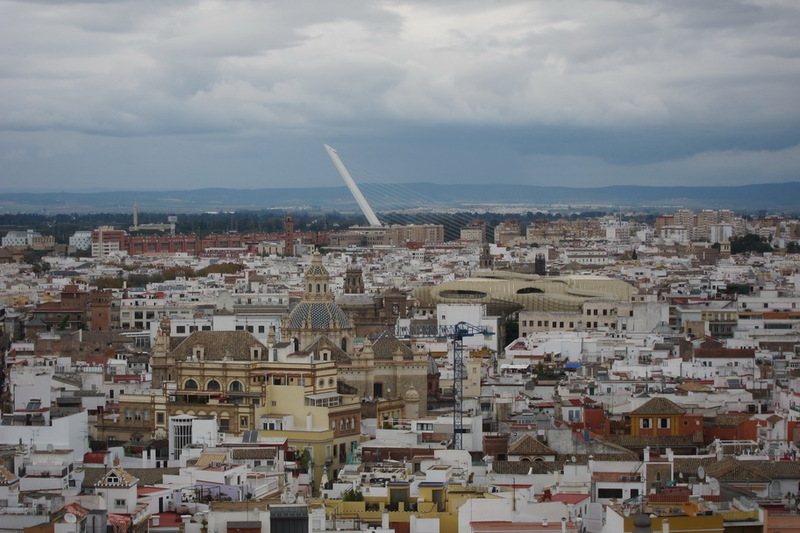 The views at the top were quite nice. 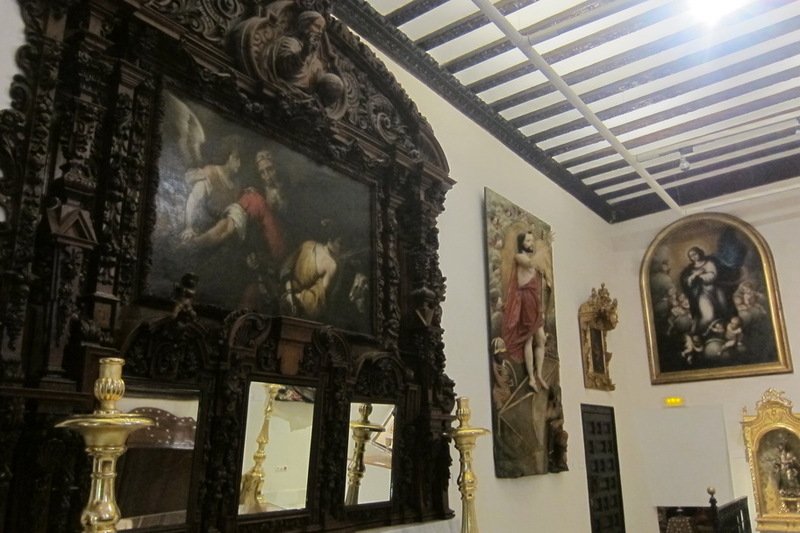 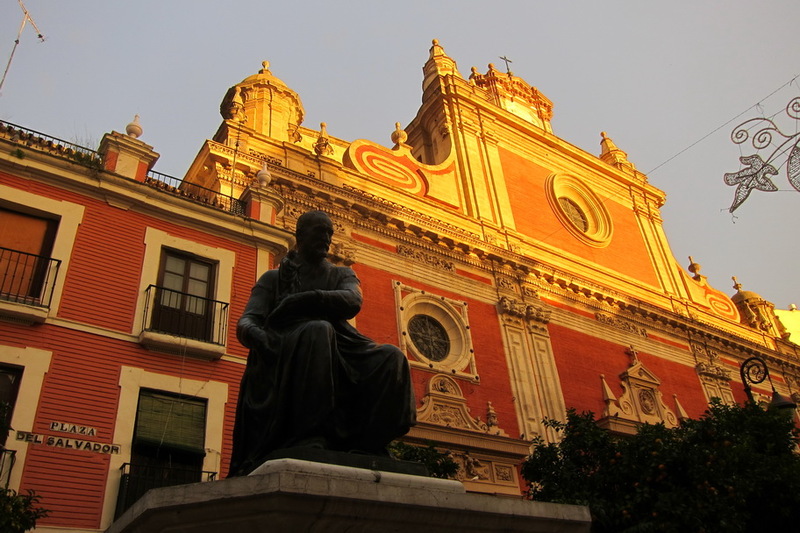 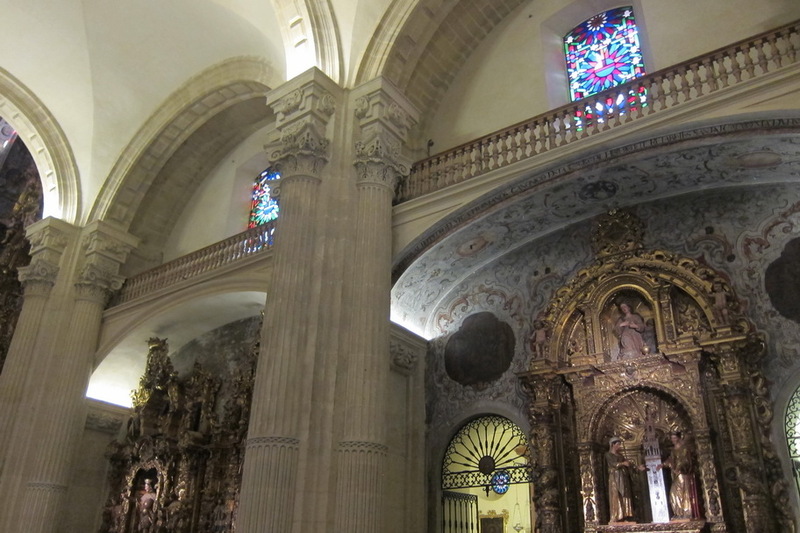 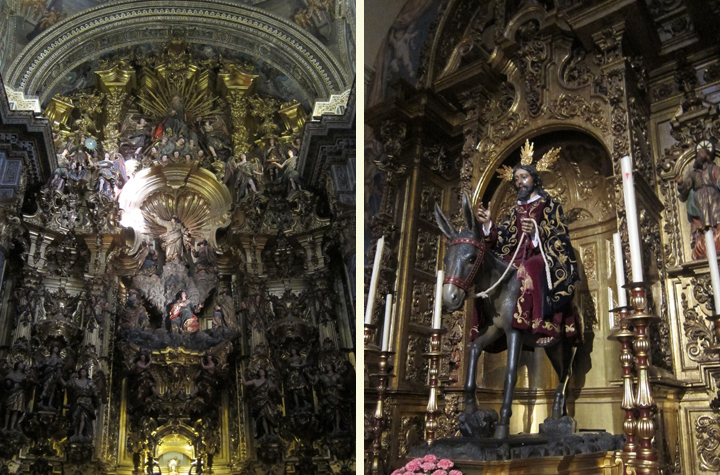 Included in the price of admission into the cathedral (8 euros) was entrance into a smaller church nearby – the Iglesia del Salvador. 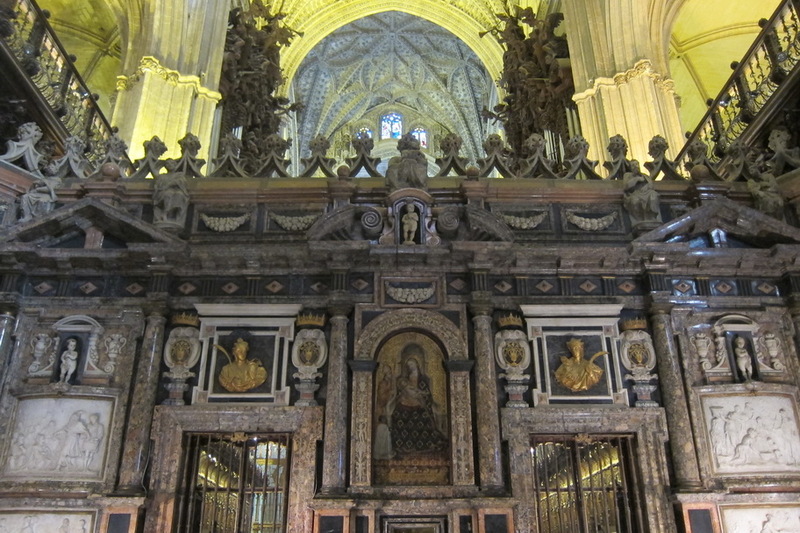 The carvings in the church was very impressive. 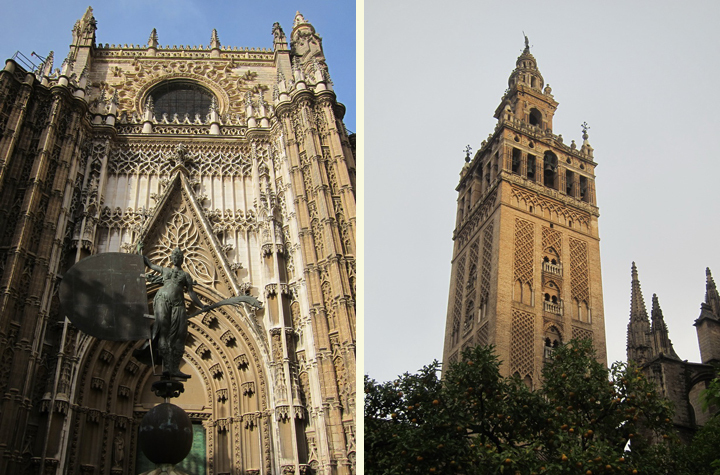 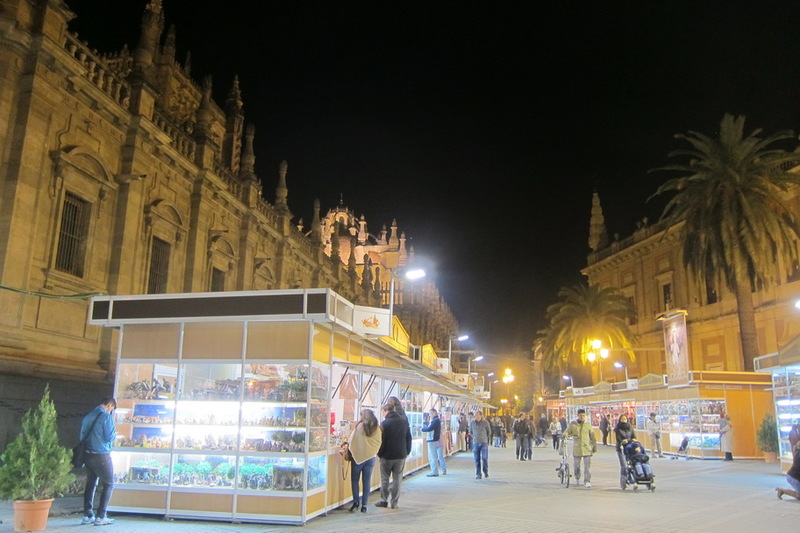 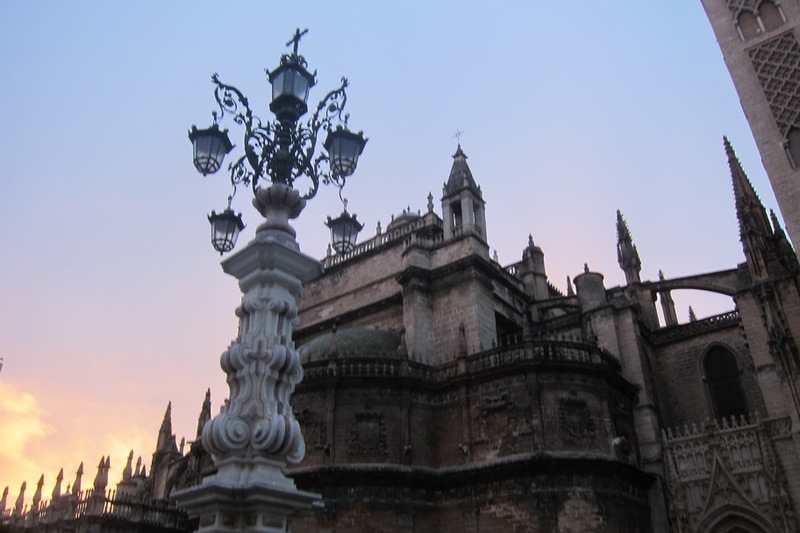 Otherwise, we just enjoyed walking around the downtown area of Seville. 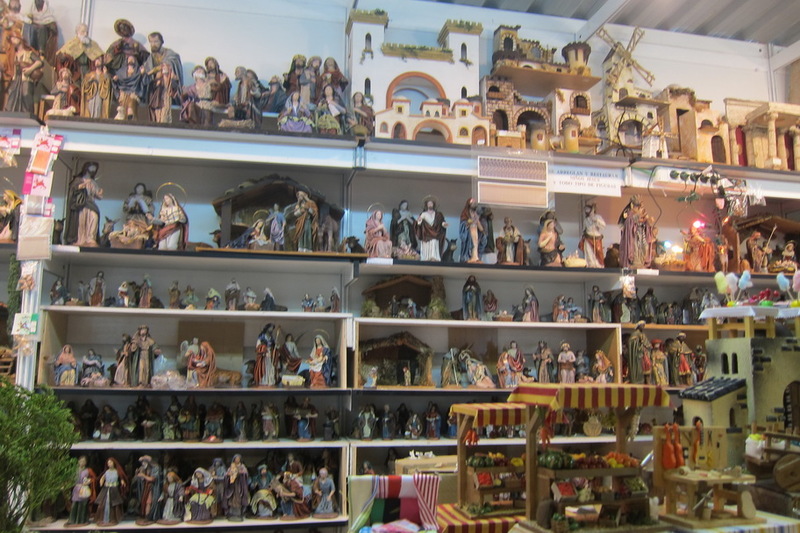 It was quite lively, and there were stands and stands selling nativity scenes, which I had never seen before. 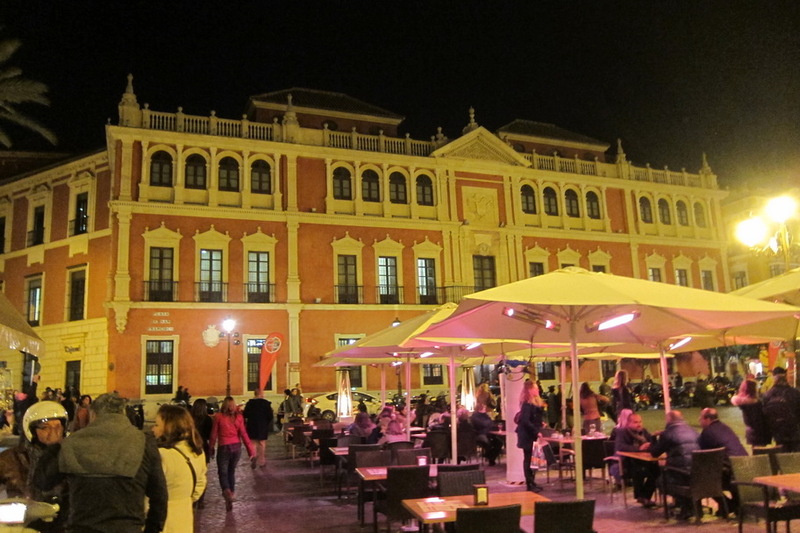 The food was also the best in Seville out of all the cities we visited in Spain, but I’ll over that in a separate post later.